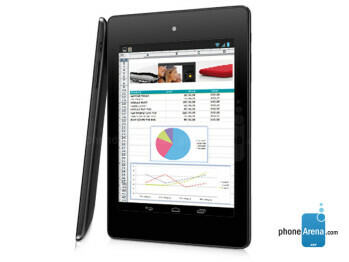 The Alcatel OneTouch EVO 8HD is a sleek aluminum tablet. The Evo 8HD is by no means cream of the crop - it shoots for affordable and stylish instead. 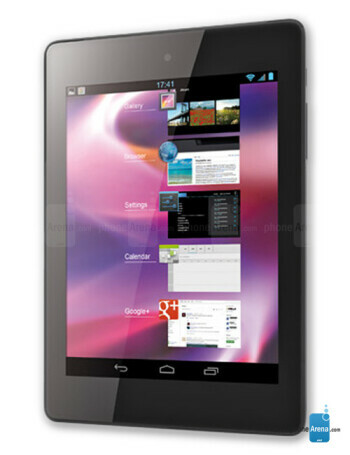 The aluminum body is merely 9mm thick, and the tablet features an HD display, a dual-core 1.6GHz chip and Android 4.2 Jelly Bean. Alcatel touts the Evo 8HD to be a modular tablet, and in this case this means that you can swap its cellular modules and upgrade it to either 3G or 4G LTE radios. It’s offered with plenty of accessories like a ‘magic’ flip cover that informs you about incoming messages with an LED light. Then there’s a docking station, or a simpler magnetic flip cover.